This scene is an inside joke for my family. Basically, anything we refer to as “little” winds up getting Tom Hanks’ high-pitched treatment. This clip also reminds me of the Pleasant Street Theater in Northampton, Massachusetts, which is closing its doors today. The theater and its adjacent video store were some of my favorite and most frequented sites when I lived in Northampton 1999-2001. Almost every movie I saw during those two years was shown there. I loved the freedom of walking or biking to the theater, especially on a weekend night. It was a nice escape from my job at Smith College, which wasn’t making me very happy at the time. And it was an opportunity to get out into a community space, since I often felt isolated and alone on the campus. The theater was pretty small. As the Executive Director of the theater states, “This is not about film. People love film in the (Pioneer) Valley. The question is, what is the best place to present independent film. And Pleasant Street is physically very limited.” For the first year I went there, I had no idea it had two screens. The main screen I knew was on the street-level entrance, and it was small compared to most theaters, with what seemed like 80 to 100 seats. But there was another screen downstairs for limited showings and audiences. The first time I heard about it, I was buying a ticket to go see THE FILTH AND THE FURY (Temple, 2000) when the clerk told me it was in the little theater downstairs. “The little theater? !” I croaked, unintentionally mirroring Hanks in my complete astonishment. “How much littler can it get?” I thought. And little it truly was. It had less than twenty seats, something like six on one side, nine on the other, arranged in little rows with one aisle between, with the screen looking like a large-screen TV set in the wall in someone’s rec room. That said, the space was really nice and cozy, well-designed and well-constructed. I immediately loved it and from then on secretly hoped that every film I went to see there would be in the little theater. That was about three years before I decided to go back to graduate school to complete my Ph.D. in Film and Media Studies, but my love for that kind of experience was part of what convinced me that this is what I needed to do. Thanks, Pleasant Street, and thanks, little theater. You’ll live on in my love for this work and in my family lore. “…. When I came to be actually holding the keys to my new restaurant, wondering what credentials I possibly possessed for owning and operating such a place, I counted knowing hunger and appetite as one of them. It became such a recurring experience during this period when I was twenty–to be starving and afraid of running out of money–as I wandered from Brussels to Burma and everywhere in between for months on end, that I later came to see it as a part of my training as a cook. I came to see hunger as being as important a part of a stage as knife skills. Because so much starving on that trip led to such an enormous amount of time fantasizing about food, each craving became fanatically particular. Hunger was not general, ever, for just something, anything to eat. My hunger grew so specific I could name every corner and fold of it. Salty, warm, brothy, starchy, fatty, sweet, clean and crunchy, crisp and watery, and so on. Hamilton, Gabrielle. BLOOD, BONES AND BUTTER: THE INADVERTENT EDUCATION OF A RESTAURANT CHEF. New York: Random House, 2011. Print. 129-30. I somehow missed two big accolades for Melissa McCarthy from earlier this year. First of all, she was listed as number twelve in W magazine’s February 2012 “Best Performances” spread, the source for the photo above. Secondly, she was named number 20 in GLAMOUR magazine’s April 2012 list of “The 25 Hottest Celebs of 2012”, as suggested by readers and ranked by the magazine. Adele came in at number 7, and as noted by one of the editors, Kristen Wiig didn’t chart. Interesting. 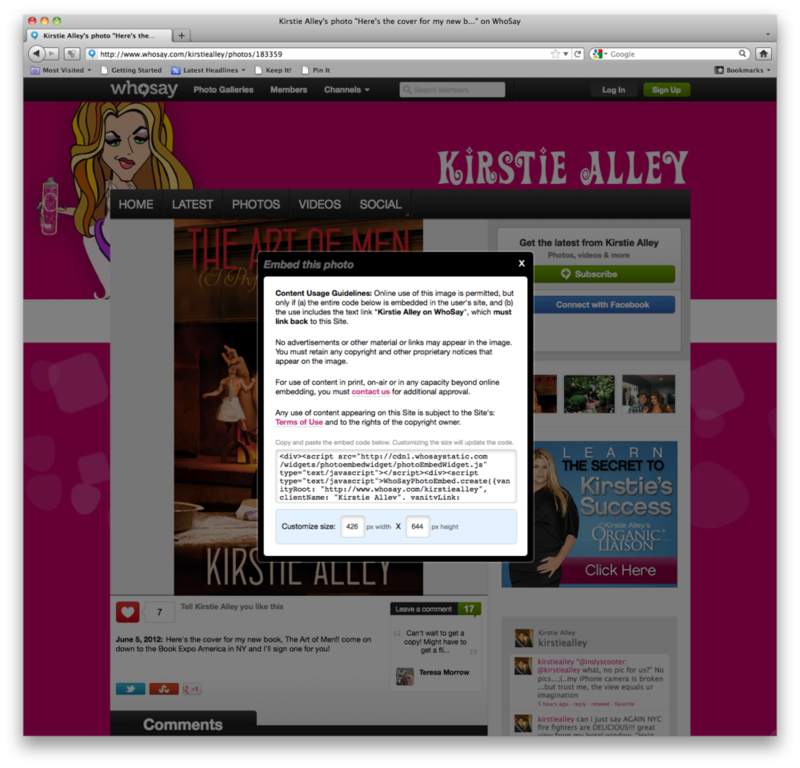 Yes, this really is the title and the cover for Kirstie Alley’s new book. She’s really been too good to me and my dissertation, although she’s starting to push it with this new Use policy. Luke: There’s nothing in here but ice cream, candy bars, cookie dough, canned frosting, why are you not 450 pounds? 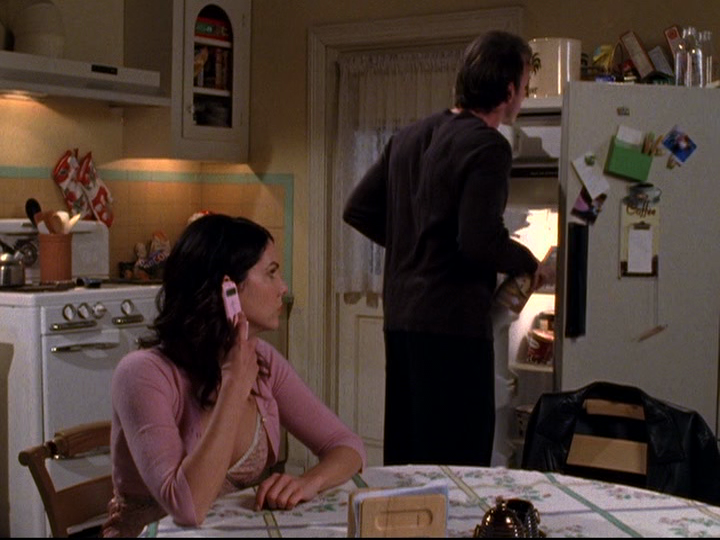 Lorelai: I know, scientists call it the Lorelai Paradox. Feuer, Jane. SEEING THROUGH THE EIGHTIES: TELEVISION AND REAGANISM. Durham NC and London: Duke University Press, 1995. Print. 54.